As the owners of the Bowen State and Charles Fergusson buildings at 40 and 44 Bowen Street, Precinct Properties’ plans for the new buildings are set to increase the location’s offering with an additional 21,000sqm of office space, which on completion will result in a workforce of 5,000 across the four buildings that comprise Bowen Campus. 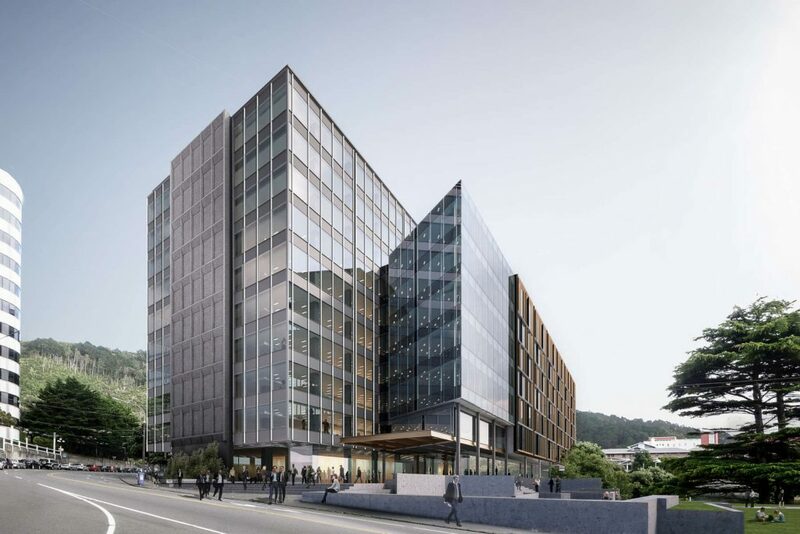 The location offers an attractive work environment for both corporate occupiers looking for high-end office space and government agencies wanting close proximity to the Beehive and nearby government departments. “With a short walk to the CBD and public transport, and access to a network of laneways that will incorporate retail, cafes and other amenity, the area is desirable for a diverse range of tenants. Tennent Brown Director Ewan Brown says that providing an attractive and lively work environment will have a positive impact on productivity, staff retention and businesses ability to attract talent for the buildings’ tenants. “40 and 44 Bowen Street have been designed to cater to the demands of the modern workforce. Pritchard adds that Precinct Properties has seen demand for flexible workspace increase across its portfolios, “Flexible design allows businesses to quickly adapt and change. Dunning Thornton Directo Alistair Cattanach says, “In addition to resilient steel framing, the viscous dampers will increase the buildings’ performance significantly in a seismic event. “We’re focused on delivering buildings that are not just a workplace, but also offer a sense of community that makes going to work an enjoyable experience – we believe 40 and 44 Bowen Street will reflect this ethos,” Pritchard concludes.